As a cross-sectoral technology, lightweight construction is decisive for reducing energy and material requirements and hence for the sustainable economic success of companies from a whole range of application industries. The importance of plastics-based lightweight construction concepts is constantly growing on account of the low material density and outstanding processing and design possibilities, and these are making a decisive contribution to sustainable added value for companies. More so than any other technology, plastics processing offers excellent options for combining dissimilar materials: from metals, thermoplastics and thermosets, right through to high performance materials with continuous fibre reinforcement. 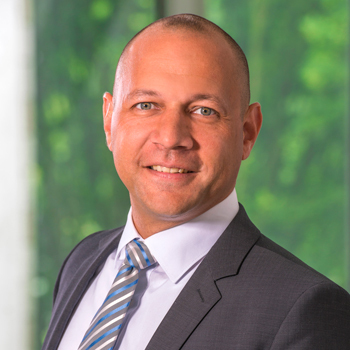 Plastics-based lightweight construction will thus become a holistic and optimised form of functionally integrated and hybrid lightweight construction in future – with applications that extend over the full range of applications and industries. Challenges and solutions are to be found over the entire length of the process chain: from targeted use and description of the material behaviour, deployment of the correct production technologies, weight and property-optimised simulation and part layout, right through to the repair and recycling of lightweight components. The optimum lightweight construction solution calls for the holistic and interdisciplinary observation of the entire process chain from a material science and production engineering angle. The key to success here lies in IKV's close interdisciplinary cooperation with the Aachen Center for Integrative Lightweight Production (AZL), co-founded by IKV, and with additional research partners at RWTH Aachen University. 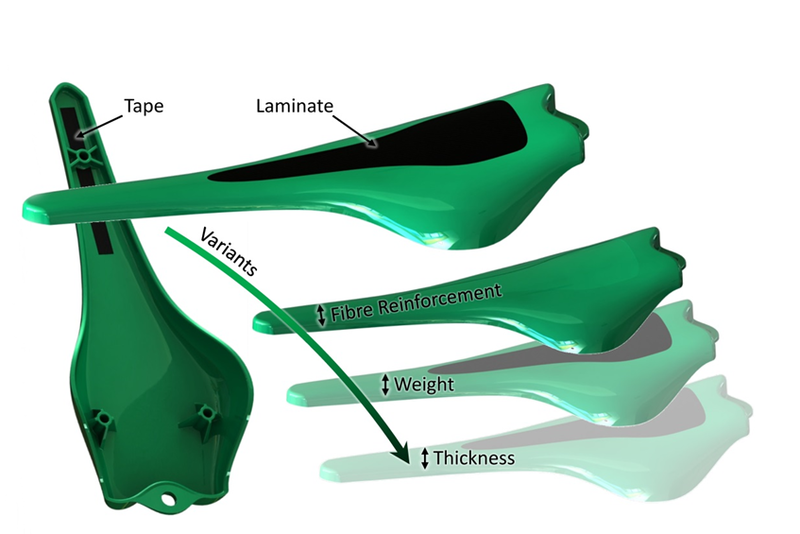 In a new type of process chain, the LightFlex project extends the product portfolio that has so far been achieved through combined forming and backmoulding processes by the mould-independent production of individualised TP-FRP parts using rapid prototyping structures and individually aligned organic sheets tailored to the load. 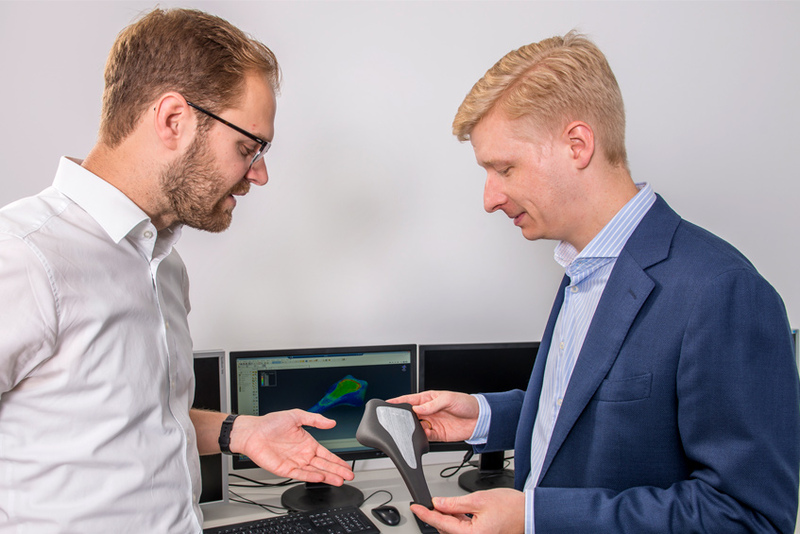 This is intended to accelerate part development and improve the property profile of the parts by comparison with conventional additive manufacturing methods. The mould-independent approach to production means that particular savings on mould technology can be expected in part development. In the framework of the interactive future repair workshop for CRP vehicles, a highly efficient repair sequence is being developed for future generations of vehicle. The growing share of high performance fibre reinforced plastics in state-of-the-art vehicle concepts means that repairs currently require entire vehicle components to be exchanged, or involve a high manual outlay by specially trained skilled workers. In the context of this project, automated, sensor-based damage detection and evaluation in the workshop is being used to subsequently develop an individually manufactured repair patch. The patch is manufactured in innovative adaptive moulds by a service provider, in the form of a fibre composite, and delivered to the workshop as a spare part. The existing workshop infrastructure is thus being equipped for the challenges of future vehicle repairs. The fibre spraying process was developed at IKV Aachen for the efficient and low-scrap production of complex semi-structural FRP parts. This process makes it possible to produce 3D preforms for further processing into both thermoset and thermoplastic FRP. Through the additive deposition of pre-orientated long fibres of a defined length (5 mm-70 mm), the preforms can be varied on a local basis in respect of fibre length, weight per unit area and fibre orientation. The parts can thus be optimally designed to achieve a layout tailored to the load path, maximising the use of the material, which means they offer a high lightweight construction potential. The Industry 4.0 approach being adopted for the "iComposite 4.0" project comprises an intelligent production system, which is implemented among other things by linking the individual components to a regulating production control system. The project is aimed at developing a flexible and self-regulating production line for the cost-efficient and quality-monitored series production of RTM structural parts with 3D fibre sprayed preforms and continuous fibre reinforcement tailored to the specific requirements. In this way, it is possible to regulate not just the process parameters but also the final part properties – a paradigm change from tolerance-based production to production that is driven by product functions. Plastics processing offers an inexhaustible wealth of possibilities for combining different materials, processes and designs for consistent lightweight construction. Solutions range from the load-optimised use of highly loadable and continuous fibre reinforced plastics, via functionally integrated long and short-fibre reinforced lightweight parts, through to density reductions in unreinforced plastics achieved by foaming processes. With a total of 13 partners from different sectors of the plastics industry, IKV is demonstrating the implementation of Industry 4.0 in plastics processing at K 2016 on the basis of a manufacturing cell. The aim of the project is to produce thermoplastic lightweight parts in a large number of variants, with the entire production process being networked in the sense of an Industry 4.0 approach, with gap-free documentation from the dispatch of the order, via the production data, right through to downstream quality assurance. The visitors to the trade fair can actively control the production process and select a personalised component from a number of variants, which they then have manufactured. The production parameters of shot volume, component thickness and type of fibre reinforcement can be varied from shot to shot. The demonstrator comprises a shaping PP-LGF foam and can be supplemented by unidirectional laminates on the top and bottom if required. The ProFoam technology employed in the foam injection moulding process ensures that the long glass fibre reinforced polypropylene is processed in a manner gentle on the material and, through the high residual fibre lengths in the part, ensures the consistent implementation of the lightweight construction concept. 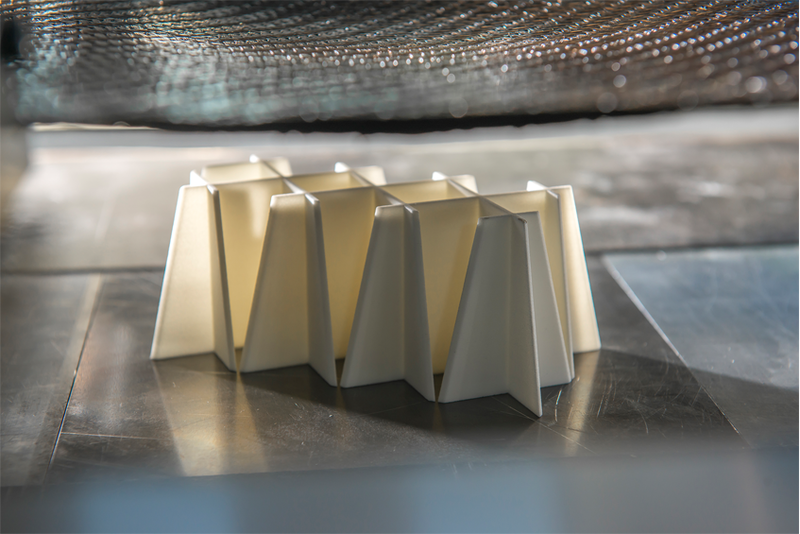 By combining the robust injection moulding process with the resource-efficient use of continuous fibre reinforcement, it is thus possible to achieve a cost-efficient process for the individualised production of thermoplastic lightweight parts that are aligned to the customer's specific requirements. Thermoplastic foam injection moulding permits the production of high-grade plastic moulded parts with a reduced component weight. Only the sliver streaking on the part surface that results with this process constitutes an obstacle for the user. Employing variothermal temperature control, it proves possible to achieve optically perfect foamed parts. In this project, the influence of the variothermal temperature control on the surface finish and the foam structure of injection moulded thermoplastic structural foams is systematically investigated with PP, PC/ABS/PMMA and PA in order to characterise not only the surface but also the mechanical properties. It proved possible to attain and, in some cases, exceed the surface finishes of the compactly produced reference components, while the mechanical properties of the variothermally foamed components correspond to those of the conventionally foamed ones. In the cost-efficiency observation, the use of variothermal foam injection moulding was proven to be worthwhile in economic terms. One of the most important groups of technical elastomer products is that of media-conveying hollow articles. At present, elastomer media lines are produced in several work stages that are run through one after the other and are capital, wage, energy and time-intensive. Fluid injection technology, with its process variant of the projectile injection technique, constitutes an alternative production process here, permitting the freefalling manufacture of complex hollow articles in a single-stage injection moulding process. In this research project, the plant and mould technology for the projectile injection moulding technique was further developed to the point where continuous fibre reinforced, elastomer hollow articles can be produced with the new technology. The process technology investigations show that the residual wall thickness can be selectively influenced through the determining process parameters of mould temperature and delay time. Sandwich components offer great potential for achieving high rigidities for a low weight. So far, however, it has not been possible to produce structural 3D sandwich components with continuous fibre reinforced outer layers in an efficient manner, since several process steps are required for shaping the foam and impregnating the outer layers. The aim of the PUR-LIT process is thus to further develop the PU spraying process chain for the large series production of complex FRP sandwich parts. The production of the 3D foam core is to be integrated in the shaping and crosslinking step for the outer layers. Even today, the production of visible CRP components with high fibre volume contents requires elaborate finishing work and painting in most cases. To permit the efficient production of CRP components with a visible surface and high fibre volume contents, IKV is currently developing a method for the process-integrated application of a high-quality surface layer. This involves combining a PU spraying process with a classic wet pressing method. The surface layer that is applied within the process can either be made of the same material as the matrix, or of an aliphatic PU system. This latter system is crystal clear, UV-stable and self-mending, and can thus be used in the interior without additional coating. In the research project on "CRP body outer skin parts for series production", construction methods tailored to the material and series production strategies for large-sized body skin parts in carbon fibre reinforced plastic (CRP) have been developed, with the aim of achieving efficient lightweight construction. To produce the parts, an innovative process, the gap impregnation method, was developed at IKV to the point where it was ready for series production, with a view to cycle times of less than 15 minutes. In this process, a temporary flow gap can be created for impregnating the fibres, which can then be closed by means of a suitable clamping concept once the resin system has been introduced. This permits the reproducible production of parts with either a monolithic or sandwich-type structure, with smooth, high-quality surfaces on both sides, a high laminate quality, a robust process and short cycle times. The aim of the research project is to develop a layout for outer skin parts that is tailored to the requirements, the material and the production process for this newly developed process, and also to optimise the process for the production of these parts. By way of the result, a technology demonstrator was produced in the form of an engine bonnet for the Ford Focus, which illustrates the results of the new technology and highlights its potential in practical terms. In the "InPulSE" research project, IKV is combining its competences in the fields of extrusion and fibre reinforced plastics. In this integrated process, a hybrid profile is produced on a continuous basis that combines a highly rigid, lightweight, thermoset, fibre reinforced core with functional, weldable thermoplastic surfaces that have a high-quality appearance and feel. When designing lightweight parts, a large number of requirements have to be taken into account in terms of mechanics, functional integration and connections to higher-level component structures as a function of the application in question. By contrast to the complete substitution of a material, the optimum lightweight construction solution is thus frequently achieved through hybrid material combinations and multimaterial structures that combine plastics and metal. Hybrid plastic/metal parts are currently being used to a greater extent in the automotive industry against the backdrop of lightweight construction. The combined deep drawing and backmoulding process has proved to be a cost-efficient method for producing plastic/metal hybrid parts. Instead of the metal parts being formed in an upstream process, they are now shaped by the closing movement of the mould. To achieve this first forming step, the components of a classical deep drawing die are added to the injection mould. Following this, the metal component is backmoulded with the plastic component. As this is taking place, the metal component is fully shaped in the second forming step by the melt pressure, employing active-media forming. The components are bonded by means of a thermoactivated coupling agent system applied to the metal component. This adhesive bond permits the introduction of force over the full surface area, ensuring greater homogeneity, which means that the component weight can be reduced still further through the use of thinner sheet metal structures. By combining metal and plastic to form hybrid components, it is possible to selectively combine the completely different material properties of the the two material components. In this way, lightweight and highly-loadable structures with a high function density can be achieved, which meet the lightweight construction targets demanded by industry. The aim of this joint project is to develop hybrid plastic/magnesium composites. By employing this non-ferrous metal, it is possible to reduce the overall weight of the component still further. The density of magnesium is less than a quarter of the density of steel. In contrast to the case for fibre reinforced plastics, use can still be made of the properties of the metal when magnesium is used. The cost-efficiency of the production process for hybrid plastic/metal parts is determined to a decisive extent by the number of process steps required. The integrative production of these hybrids in a reliable process has a direct impact on the cost per article on account of the process steps that are dispensed with. The combined deep drawing and backmoulding process permits the efficient production of lightweight structural parts, which will withstand a high mechanical load, through the deep drawing of a metal component and its subsequent functionalisation with plastic. A further aim of this joint project is to align the combined process to the constraints of wrought magnesium alloys as the metal component. For a number of years now, an increasing number of plastic/metal hybrid parts have been employed as structural components in vehicles, including in front ends. The manufacturers primarily apply force-fit and form-fit principles here. But these do not permit a homogenous stress distribution in the hybrid composite. The long-term aim is thus to adhesively bond the components during the injection moulding process through the use of coupling agent systems. To quantify the bond strength of this solution, a tubular specimen was developed in the context of this project. This is particularly suitable for computer-aided optimisation calculations of adhesive plastic/metal hybrid parts based on FEA. If the lightweight construction potential of combining dissimilar materials is to be fully exploited, it is essential to understand and be able to predict the complex interaction between the material, process and component properties. Uneven forming of the semi-finished product is a characteristic of the thermoforming process and gives rise to thin points with limited properties. Components thus have to be dimensioned on the basis of these thin points, which means that they are overdimensioned in the other areas. In a bid to optimise the forming properties of semi-finished products, a temperature profile is marked out on the semi-finished products by means of a heating concept that uses masks. The forming behaviour of the semi-finished products can be locally adjusted in such a way that material from the overdimensioned areas is conveyed into the thin point. The thickness of the semi-finished part can then be reduced while maintaining the properties of the component. Fibre reinforced parts are increasingly being employed in parts subject to oscillating loads too, such as leaf springs. The high damping capacity, the loading tailored to the material and, naturally, the low weight mean GRP has better lightweight potential than steel springs. The fatigue strengths are regarded as excellent, even if it has not been possible to establish a pronounced fatigue limit to date. For the part to be operated safely, it must be possible to calculate its service life at the design stage already. The focus in this joint research project is thus on modelling the fatigue of fibre reinforced plastics that are loaded in the fibre direction. Making allowance for fluctuating load levels and the different orders in which the loads act during the service life of the parts, a block testing programme is developed at the end of the project. The development of damage in the testing programme corresponds to the development under measured loads. The overriding aim of this project is to achieve lightweight structures in the automotive sector by replacing metal material with (fibre composite) plastics, while still maintaining cost-efficient production. Working in cooperation with the Ford Motor Company, investigations are being conducted on a front lower control arm to this end. The focal points of the project are the analytical and simulative analysis of the prevailing load case, and an assessment of the potential for weight reduction, while making optimum use of the available installation space. A suitable manufacturing strategy is derived on this basis, and concept solutions are worked out and validated in simulations. For subsequent experimental validation, the final concept is being implemented as a prototype series. The aim of this DFG research project being conducted in cooperation with the Institute of Lightweight Engineering and Polymer Technology (Dresden), the Institute of Structural Analysis (Hannover) and the Institute of Polymer Composites (Hamburg) is the physically-based generalisation of existing damage development models for fibre reinforced plastics (FRP), as a key component in the prediction of fatigue behaviour. The particular challenges currently encountered in modelling the damage behaviour of FRP include the insufficient understanding of the different damage mechanisms in the tensile and compression range and also their interaction under changing loads. In this research project, therefore, a model is being formulated for the changing stress-distortion behaviour under cyclical load with a reversal of the load direction. This is being done with the aid of numerical analyses at the microlevel and also through experimental observation through optical stress analyses and in-situ computer tomography. Components in fibre reinforced plastic (FRP) are frequently subject to cyclical loading in the course of their service life. Hence, in addition to a design based solely on statics, it is essential to be able to predict the service life in mathematical terms too, especially for parts that are of relevance to safety. The aim of SPP 1466 is to build up a fundamental understanding of the fatigue and fracture behaviour of laminates made up of unidirectional (UD) individual layers, under oscillating load with up to 108 load alternations, and to describe these in a model.. The necessary fundamental understanding of how microdamage develops in UD-reinforced individual layers has been obtained through experimental research under multiaxial load states. Injection moulded parts with short glass fibre reinforcement are increasingly being exposed to dynamic loading in a range of applications. In addition to expensive Wöhler fatigue tests on parts using near-series prototypes, Wöhler tests are also being conducted on specimens in a bid to characterise the fatigue behaviour of the material. This characterisation is highly time-consuming, but it is essential both for analytical estimates and for the simulative service life calculations conducted at IKV on the basis of a master Wöhler curve concept. Aligned to the individual materials, the research being conducted at IKV is focused on the material-tailored fatigue testing of short glass fibre reinforced thermoplastics. To this end, the scope of the tests is efficiently defined in the form of stress or strain-controlled Wöhler fatigue tests on the material, and the boundary conditions such as temperature and testing frequency are determined. Through precise analysis of the viscoelastic material behaviour, it can be ensured that the fatigue – in the form of mechanical breakup – is captured and that effects that are undesirable in certain applications, such as thermal failure, are prevented. Compared with short glass fibre reinforced thermoplastics (SFT), long fibre reinforced thermoplastics (LFT) have the key advantage of higher mechanical and impact strength. By using long fibres, it is possible to reduce the time-dependent tendency of the material to creep. 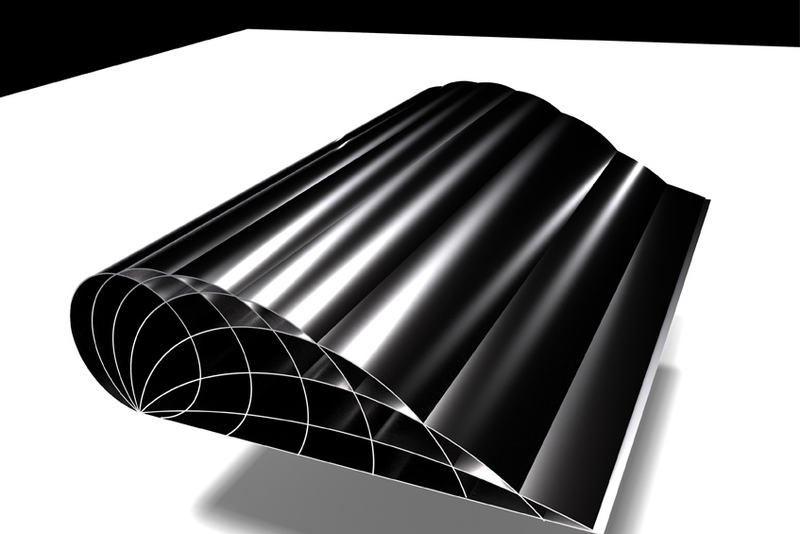 Despite this, the thermoplastic matrix still retains a certain tendency to creep, and this must be taken into account in a simulative calculation of the composite properties. In the IGF research project "LFT-Creep/Relaxation" an integrative simulation chain is currently being built around a micromechanical model. This model permits the highly relevant influences of fibre orientation, fibre length distribution and fibre curvature to be taken into account when calculating the creep and relaxation behaviour of LFT. The material is calibrated solely on the basis of the matrix material and thus permits the composite properties to be calculated even in the event of locally deviating fibre lengths and orientations. Calculations performed for tests on real tensile specimens with different fibre lengths show good agreement with the predicted time-dependent composite properties. The aim of the research project is now to transpose the results to an industrial part and thus validate the performance of the method developed. In the completed IGF research project "LFT Damage", an integrative simulation method was further developed around a micromechanical homogenisation approach at IKV which makes allowance for the special features of modelling thermoplastic parts with discontinuous long fibre reinforcement (LFT). The constant aspect ratio of the fibres which is employed in the modelling of materials with short fibre reinforcement, is replaced by a fibre length distribution that is characteristic of an LFT. Findings on the special nature of fibre orientation in LFT were included, as was the possibility of making allowance for the influence of fibre curvature on the mechanical properties of the composite. It was shown in validation tests that, by using the integrative simulation method developed, it is possible to calculate the material properties, and hence entire parts, on a locally more differentiated basis. This possibility ultimately gives rise to a less conservative layout of new parts, allowing both the weight of the parts to be reduced and more difficult structures to be achieved.